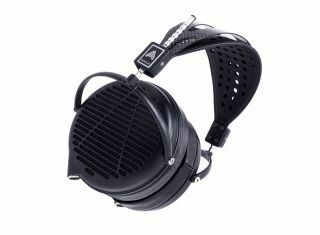 Audeze launches new high-end LCD Collection headphones | What Hi-Fi? The high-end headphone manufacturer has expanded its range with two new models, and (for a short time) discounted an existing LCD pair. Sitting underneath the £3050 LCD-4 flagship headphones, and featuring Audeze’s patented Fluxor magnets, the LCD-MX4 (£2290) are “significantly lighter” than any other LCD model, thanks to an all-new design including magnesium housing with a carbon fibre headband. Audeze’s more affordable model is a refreshed take on its LCD2 headphones. The LCD2 Classics sit at the bottom of the LCD range, and feature the “slightly warm sound signature” of the original LCD2 driver. They come with a lightweight suspension headband, crystal-infused nylon rings and remodelled audio jacks. Typically priced $800 (£610), they can be pre-ordered for $600 (£460), with shipping expected to start mid-December. There is good news for anyone with the LCD-Xs on their Christmas list too. For a limited time, they will be available for $1200 (down from $1700), but without the travel case. Audeze is also bringing out Collectable versions of the brand’s flagship LCD-4 cans, featuring “the finest woods, extraordinary colours and stunning finishes”. Don't forget Black Friday is just around the corner. You can keep track of all the latest deals on our Best Black Friday deals page.